Greetings to all our BC Conference Members. We would like to share the events that are happening around the BC Conference during the month of May. Month to month we are presenting inspirational testimonies that highlight the blessings of serving the Lord faithfully. In case you missed them, here are the video links for the months of December - April. 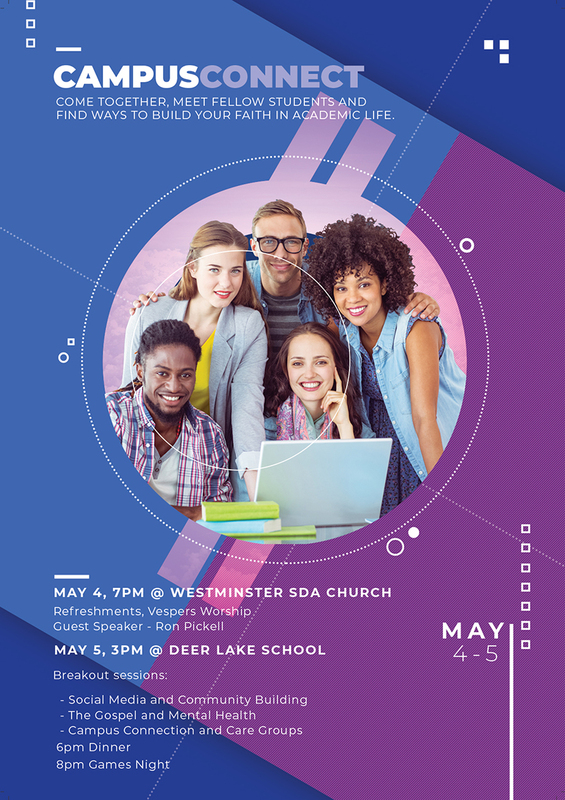 The MetroVan SDA churches are partnering to invite SDA Christians grade 12 through graduate students to connect each other. Grade 12s thinking about local colleges and universities have a chance to meet some friendly faces and find support for the transition to post-Secondary life. Keynote speaker Ron Pickell has experience as a public campus chaplain at Berkely and understands the challenges keeping ones faith active in a secular academic environment. Church members interested in supporting Collegiate ministry are invited to join a special session with Linda Glatts at 3:15pm Saturday afternoon on How to be an Effective Care Group Leader. Student sessions will address mental health, discipleship, apologetics. Time for prayer and planning and socializing will follow. Pastors from the MetroVan churches and BC youth director Brian Wahl will be there to hear from you what support you need. 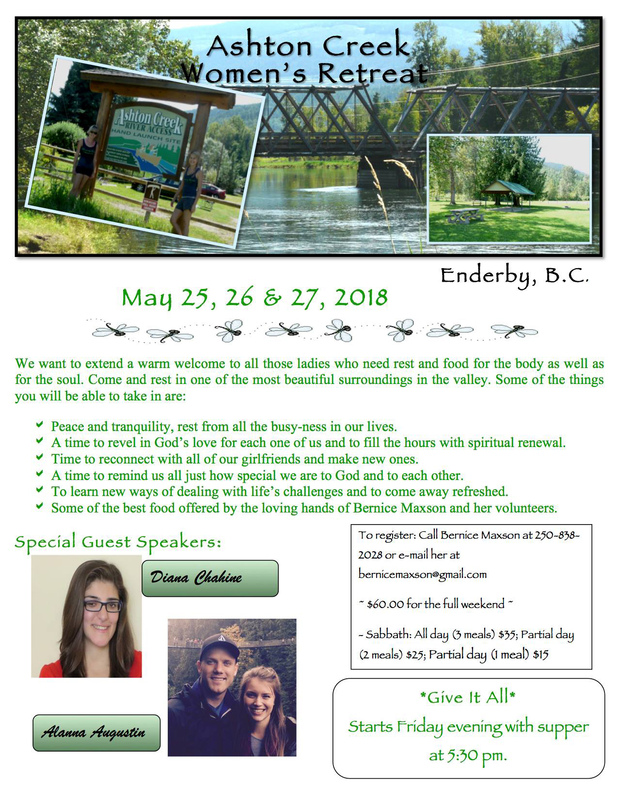 Come and join us in Enderby, BC on May 25, 26 & 27, 2018. Relax & rejuvenate with friends out in nature and be blessed with messages from our featured speakers, Diana Chahine and Alanna Augustin. 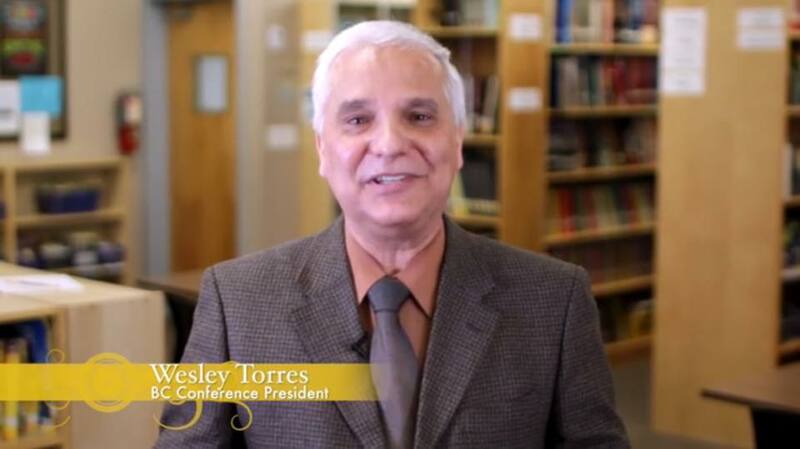 A well-trained team of church elders relieves the burdens pastors feel and gives them joy in their own ministry. 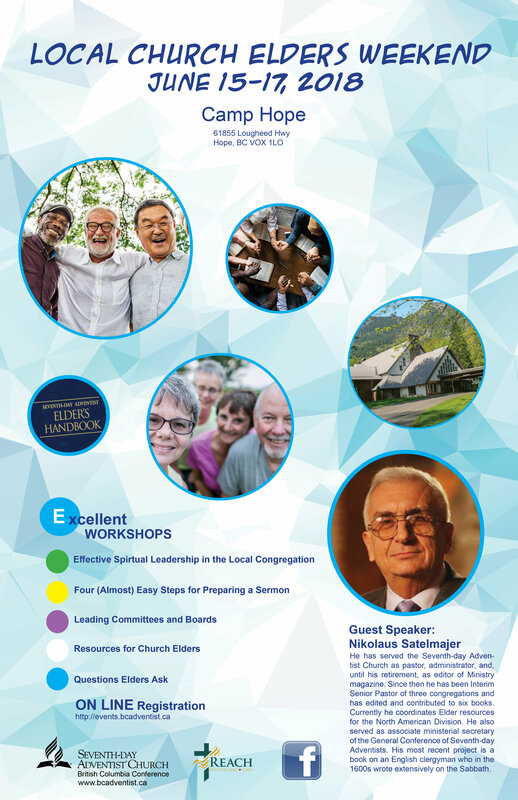 For this reason the BC Conference is inviting all Local Church elders to attend the annual Elders Retreat. 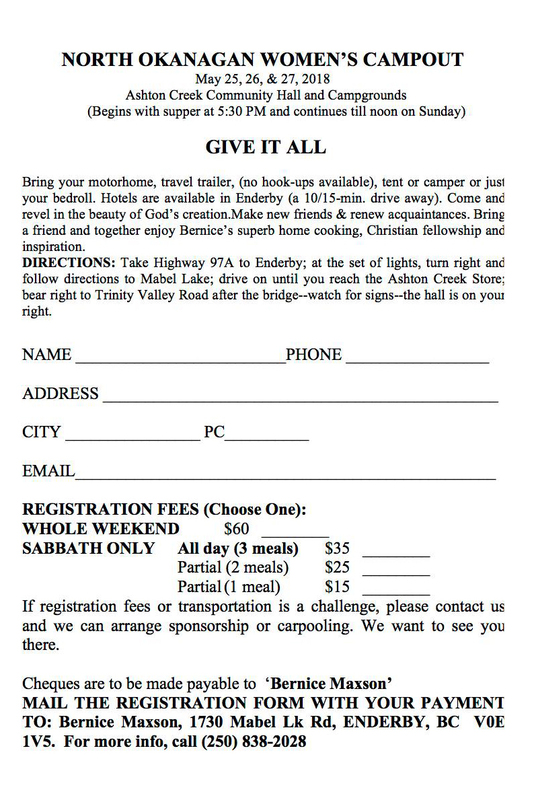 The cost is $150/- for the weekend (double occupancy), but if elders sign up by June 5 the discounted price will be $100/-. 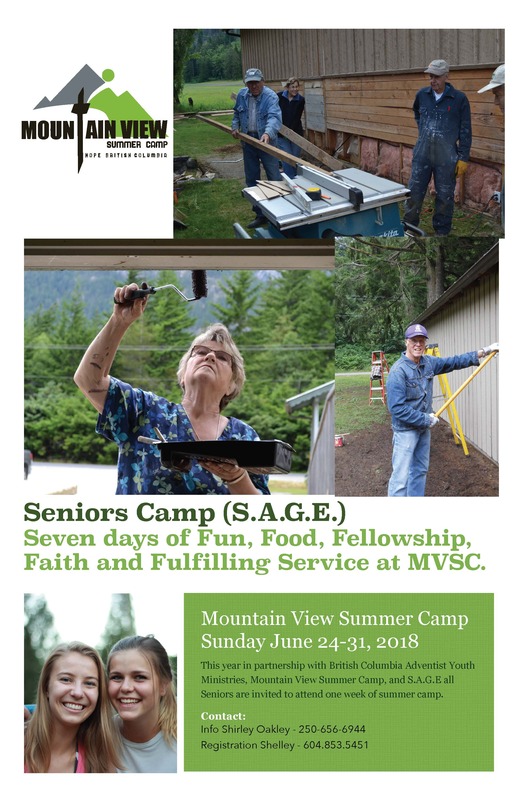 SAGE and MVSC invites BC Seniors to attend Summer Camp for free on June 24 – 30, 2018. ATTENTION: ALL SDA young adults 20 years old and up!! We are planning our fifth annual Young Adult Campout weekend for those that fall into in this stage of life!! This is an event put on by young adults, for young adults in an attempt to create a stronger community within this age group, within the SDA community. When: June 29- July 2, 2018. Check out the website for all the details at http://summercampout.wordpress.com/ . Make sure to register, to save your camp site. We look forward to seeing you there, on Canada Day long weekend! 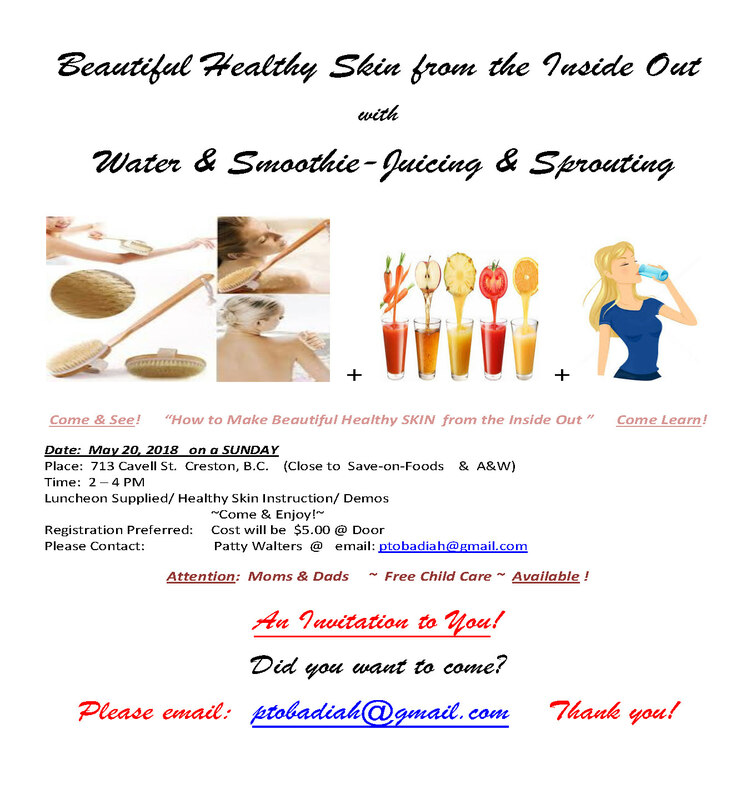 Email Jody at SDAYoungAdultInitiative@yahoo.ca if you have any questions about the event. 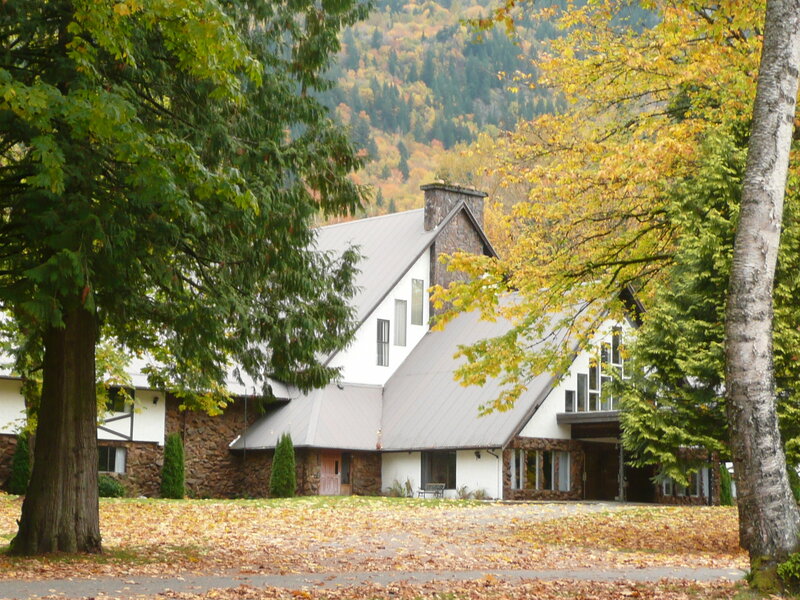 SINGLES RETREAT – Plan now to attend the annual Singles Retreat at beautiful Camp Hope, BC September 21-23. 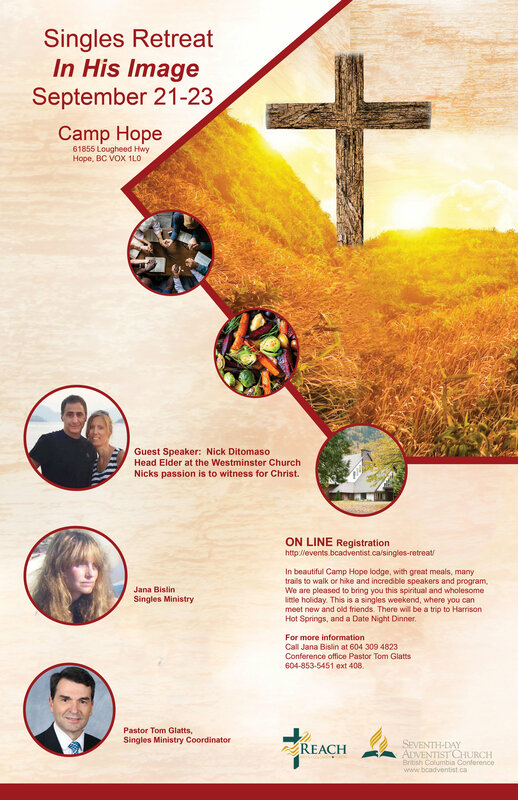 Come enjoy great speakers, activities and meals in the beautiful surroundings of Camp Hope! 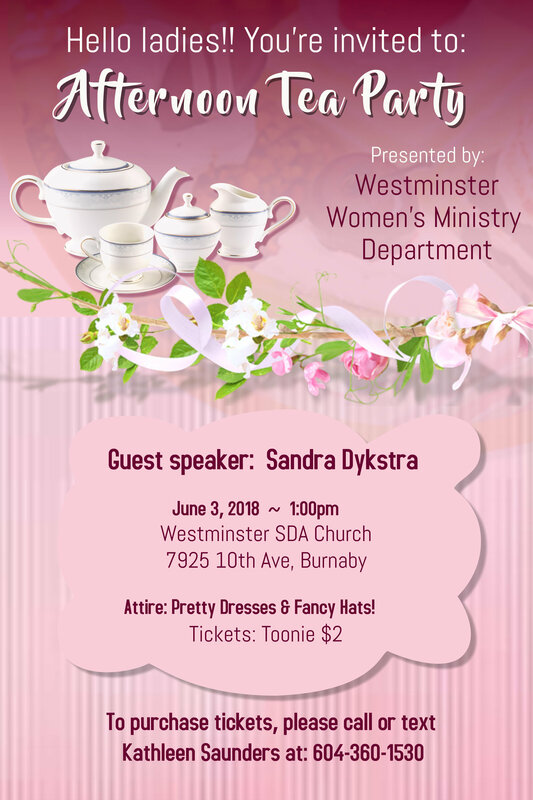 To register, please go to: http://events.bcadventist.ca/singles-retreat/. A great summer is planned for children ages 7–18! Register online at www.mvsc.ca or send your application to sgibbons@bcadventist.ca before May 31 and receive a $100.00 discount! Call Shelley at 604.853.5451 ext 413 and make your Visa or MasterCard payment before May 31. Don’t miss this opportunity to send your child to camp at a great price! Expect to have fun, adventure and make new friends at camp this year! 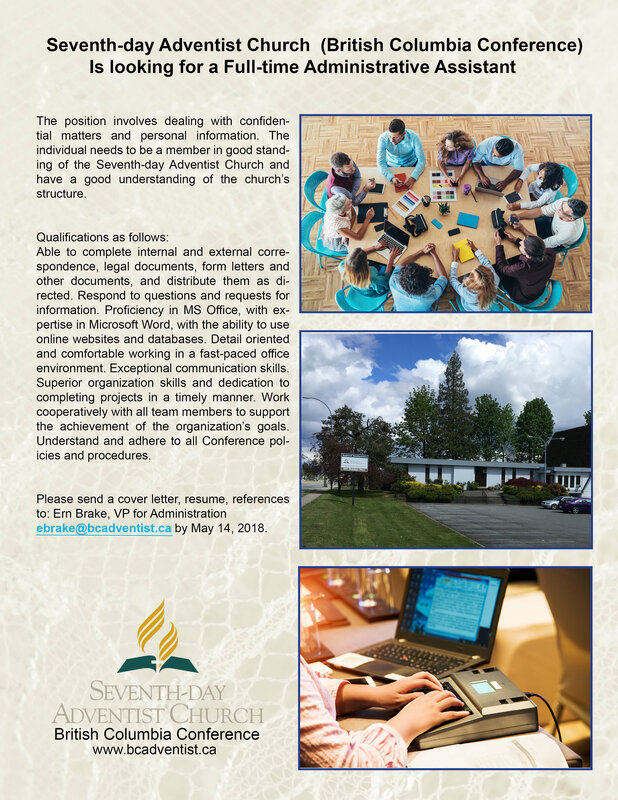 The Seventh-day Adventist Church (British Columbia Conference) is looking for a full-time Administrative Assistant. The position involves dealing with confidential matters and personal information. The individual needs to be a member in good standing of the Seventh-day Adventist Church and have a good understanding of the church’s structure. Able to complete internal and external correspondence, legal documents, form letters and other documents, and distributes them as directed. 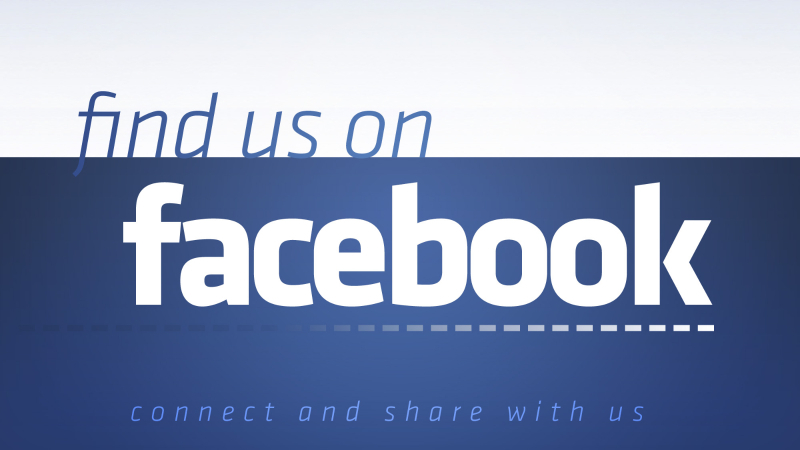 Responds to questions and requests for information. Proficiency in MS Office with expertise in Microsoft Word, with the ability to use online websites and databases. Detail oriented and comfortable working in a fast-paced office environment. Exceptional communication skills. Superior organization skills and dedication to completing projects in a timely manner. 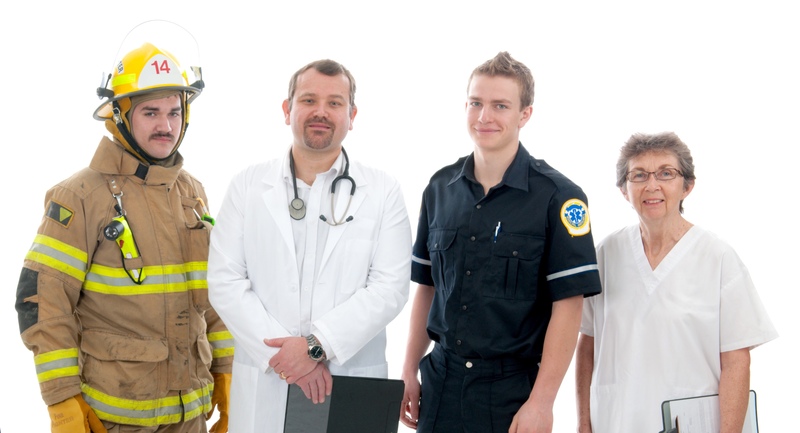 Works cooperatively with all team members to support the achievement of the organization's goals. Understands and adheres to all Conference policies and procedures. 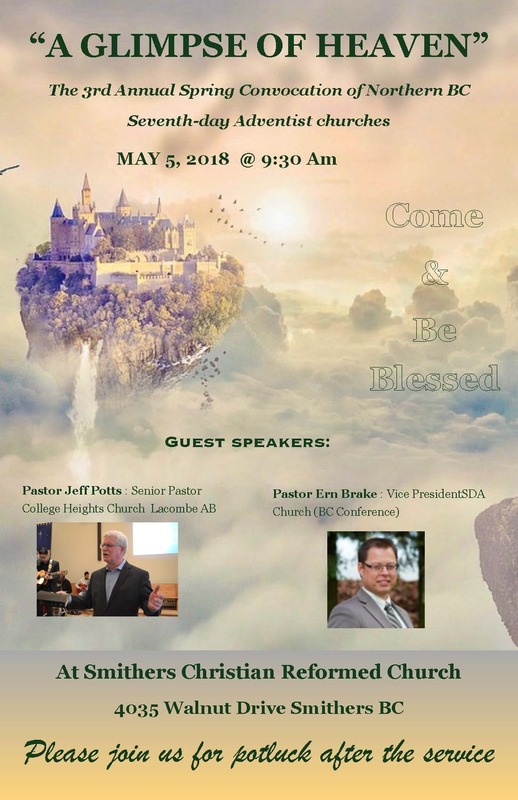 ebrake@bcadventist.ca by May 14, 2018. Beginning May 10, at 7 pm, Roy Williams will preside at Dr. David DeRose’s Lifestart video seminars, which address various health related topics. The May sessions will focus on losing weight naturally, while June zeroes in on reversing heart disease. 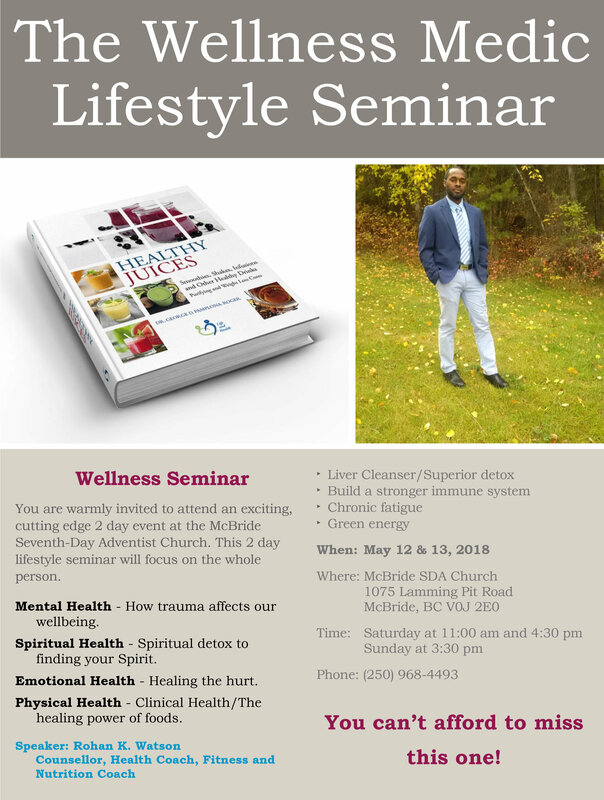 The Lifestart seminars, as well as the Ladies’ Fitness programs at 4:30 on Wednesdays are free, being presented as a public service by the Penticton Seventh-day Adventist church. 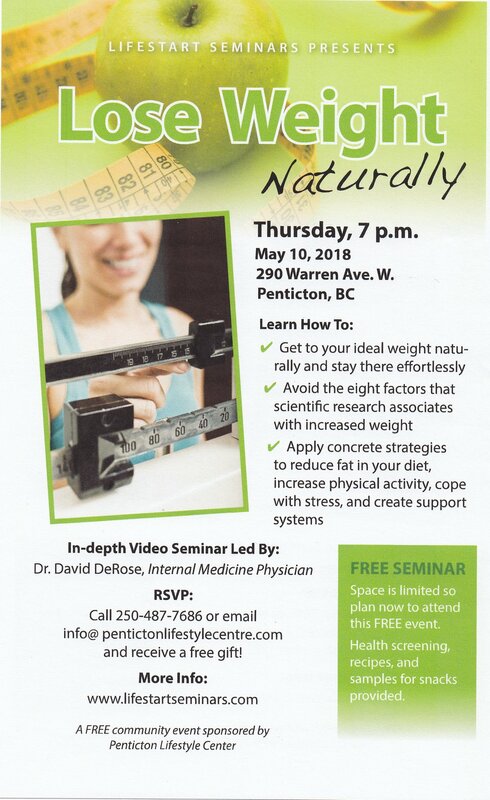 This free seminar is to Lose Weight Naturally. You are warmly invited to attend an exciting, cutting edge 2 day event at the McBride Seventh-Day Adventist Church. This 2 day lifestyle seminar will focus on the whole person. Mental Health - How trauma affects our wellbeing. 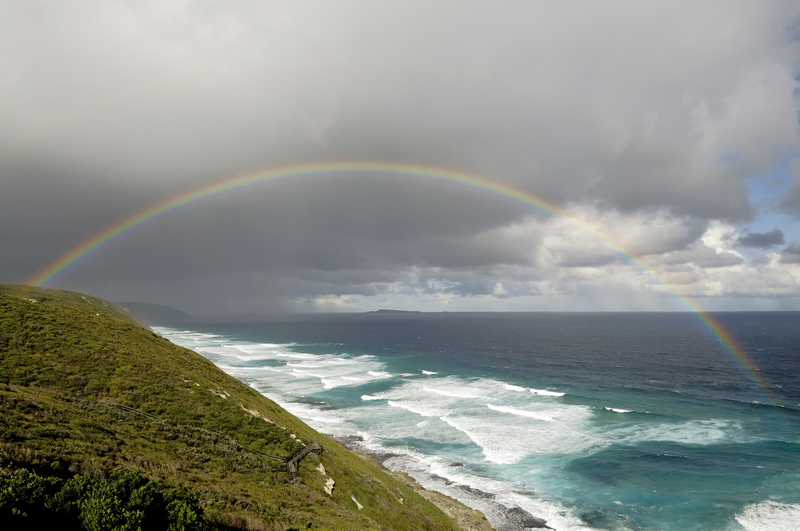 Spiritual Health - Spiritual detox to finding your Spirit. Emotional Health - Healing the hurt. Physical Health - Clinical Health/The healing power of foods. Place: 713 Cavell St. Creston, B.C. Attention: Moms & Dads ~ Free Child Care ~ Available ! 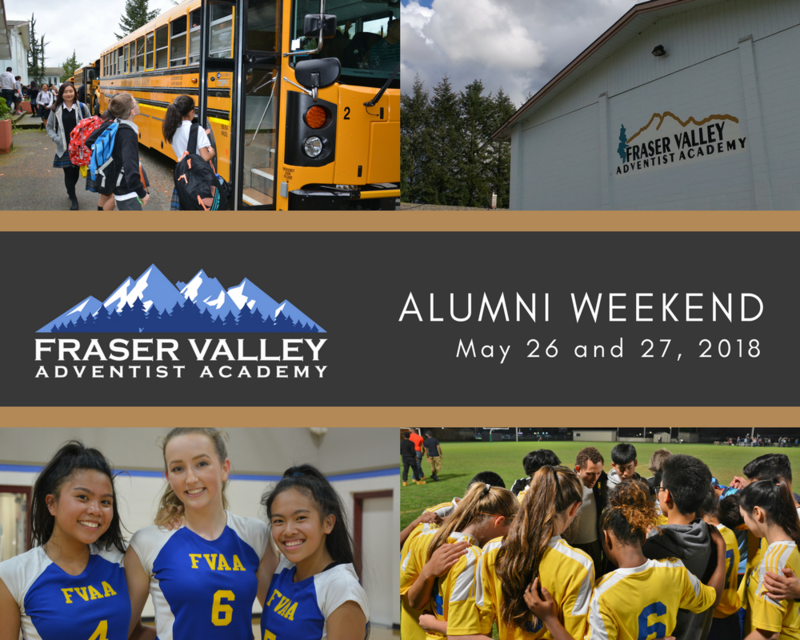 FVAA is having another great Alumni Weekend on May 26 and 27, 2018. The honoured classes will be 1978, 1988, 1993, 1998, and 2008, but all former and current students, families, and friends are welcome to join the program. Sabbath worship, lunch, and social times. 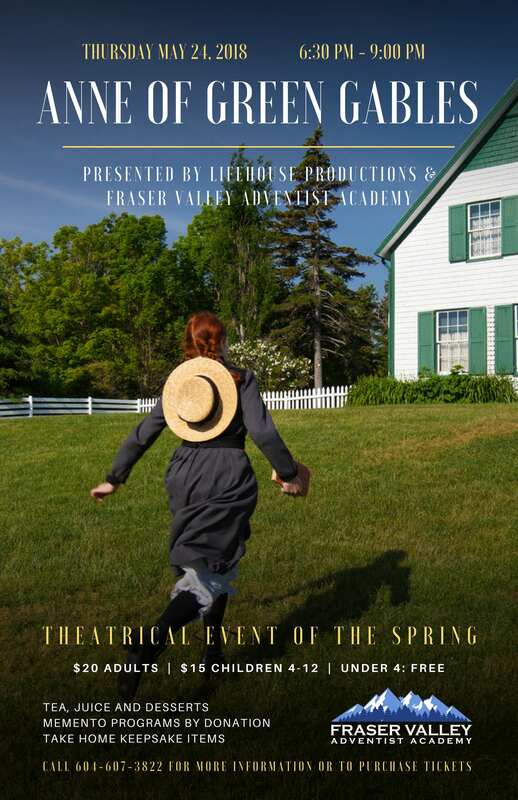 Sunday, the music and drama departments will present “Anne of Green Gables” the musical. 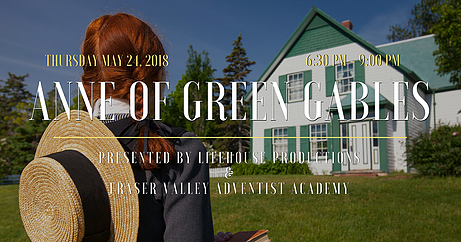 Fraser Valley Adventist Academy is presenting the theatrical event, Anne of Green Gables. Thursday, May 24 from 6:30-9:00 pm. Admission is free and the event is family-friendly. 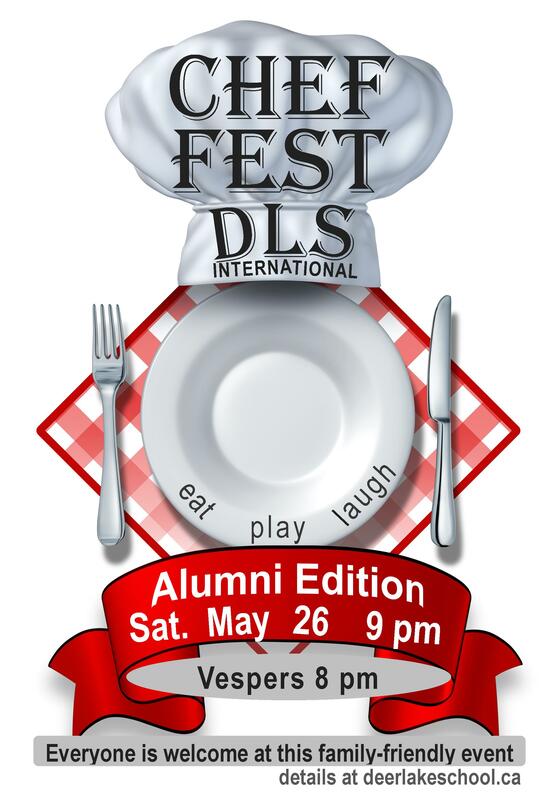 Worship hosted by DLS alumni begins at 8 pm. All funds raised will support the 2019 Grade 11 & 12 International Service and Cultural Exchange Trip. Maranatha Is Coming To Camp Hope, Soon. We currently have 23 Maranatha Volunteers coming (from afar), and 16 volunteers coming (from BC), albeit some of these for just a few days. There is still room for a few more volunteers as we tackle a number of projects May 10 – 24, 2018. The window of opportunity is slowly closing however. We could sure use one or two carpenter/builder types. Contact Bill Gerber if you would still like to come join the fun for even a day or two, or to learn more about the projects we will be working on. Varied and various skills are welcome. 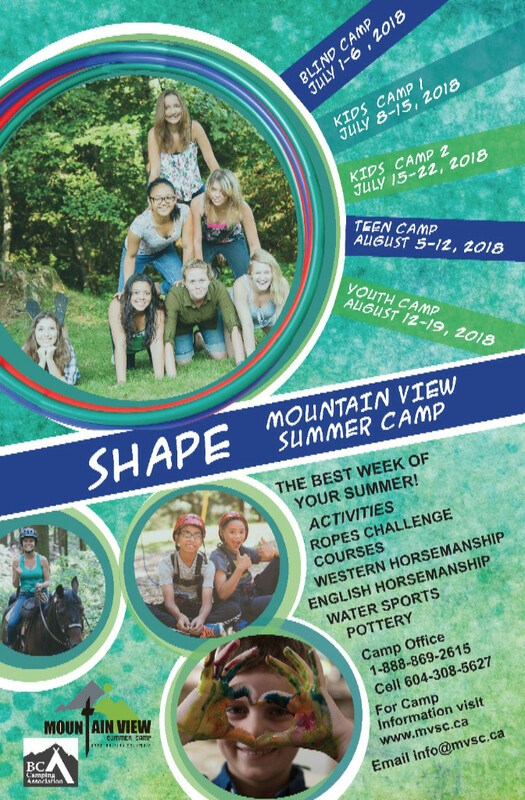 Email bgerber@bcadventist.ca or contact the camp at 604-869-2615 and leave message. God asks each of us to be boldly brave in the ongoing struggle between good and evil. However, warriors for God do not always fight with swords or spears. God gives each of us weapons of faith. 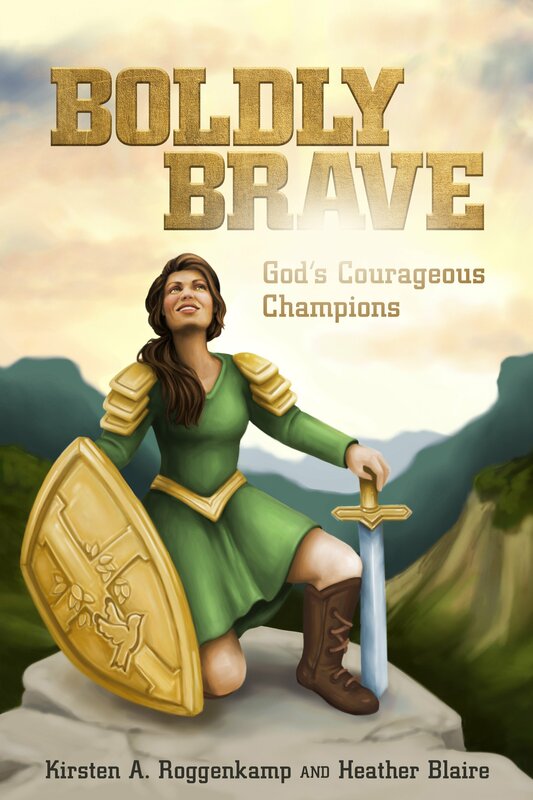 In Boldly Brave you will find stories of girls and women, men and boys of the Bible who used their weapons of faith—kindness, prayer, love, trust, and hope—to win battles for God. You can use your weapons of faith, too, when you face problems in your life. God promises to help you win the victory, because when you are victorious, He is victorious! Read the stories of Rebekah and Ruth, Miriam and Esther, Samuel and Solomon, Isaac and Josiah, and many more, to learn how they stepped out boldly with their faith-weapons to win victories for Jesus. Then look for the questions and activities following each story—questions to make you think, fun activities to help you understand the story better, and suggestions of how to be God’s warrior every day. Monday thru Thursday 10:00 am to 5:30 pm. Friday 10:00 am to 1 pm. Sunday 1 pm to 4 pm. 604-859-2566 or toll free 1-800-765-6955.